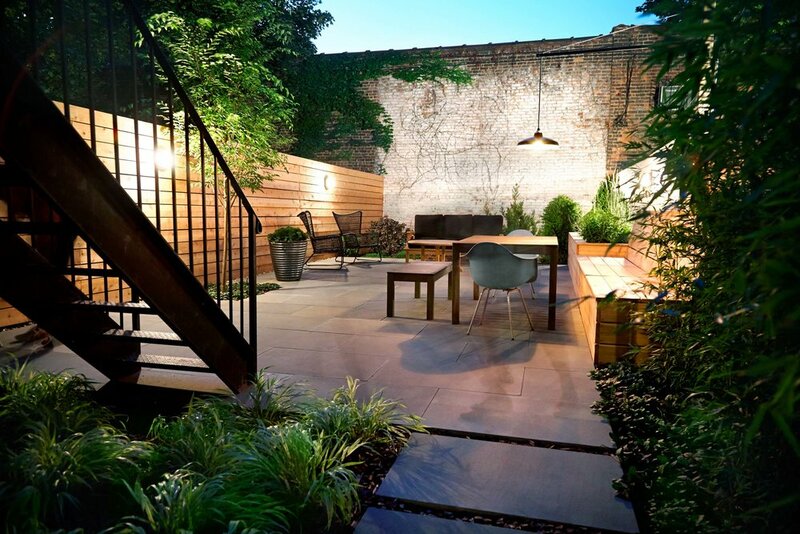 What started as a fully paved front and back yard have been transformed into an urban oasis. 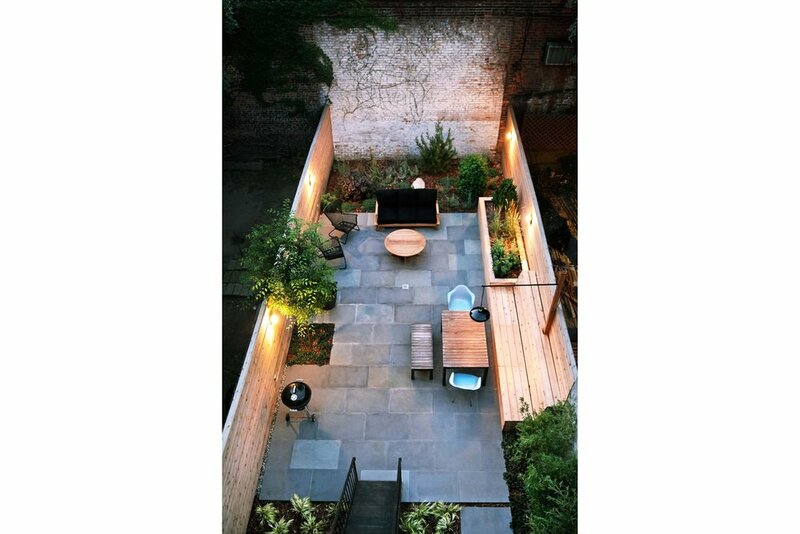 Greening and modernizing the outdoor space were the goals for this typical Bed-Stuy brownstone garden. By simply removing two large sections of concrete, we were able to add needed green-space while minimizing the amount of project waste. 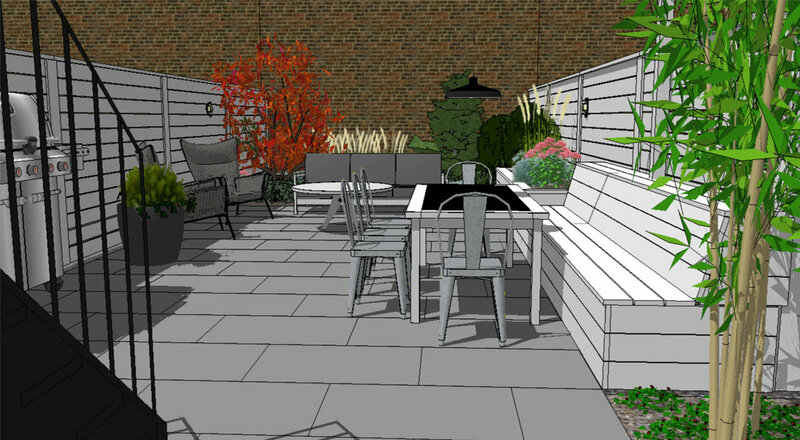 Local bluestone was set over the existing paving and modern cedar fencing defines the garden and adds privacy. A cedar storage bench adds seating and cushion storage, while the custom overhead barn light defines the dining space. 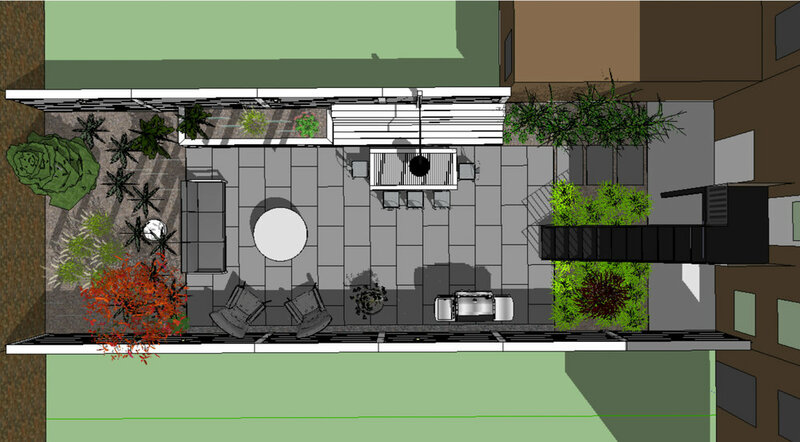 A tree pit and cedar planter introduce additional planting to the garden. The plants consist of drought tolerant species such as juniper, Russian sage, sedum, and native ornamental grasses. Furniture and sconce lighting were also designed and installed.